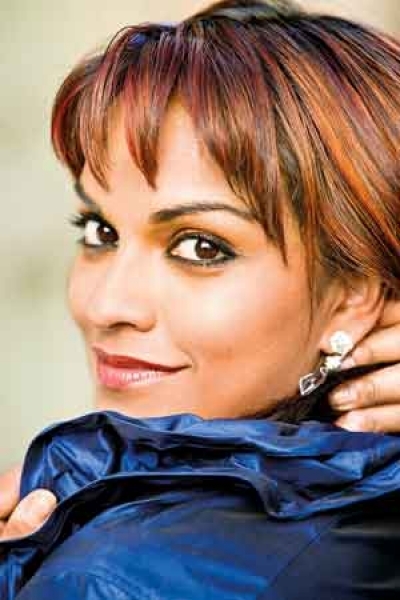 Sensational singing star Danielle De Niese will be at a concert celebrating Sri Lanka’s 70 years of Independence, presented by the Colombo Cultural Hub Trust in collaboration with DILMAH. Five years after her Asian debut in Colombo and two months into her Australian premiere in Melbourne and seven days after a phenomenally successful month at the Sydney Opera House as ‘Hanna’ in the Merry Widow produced by Opera Australia, Danielle De Niese will once again enthrall her Sri Lankan fans with her captivating stage presence and beautiful Soprano voice on Saturday, February 10 at the BMICH. Danielle, born to Sri Lankan parents Chris and Beverly De Niese, is more than just the most magnetic presence on the operatic stage, with her singing described by the New York Times as ‘utterly delectable … sheer joie de vivre and mastery come spilling across to the eyes as well of the ears’. Danielle has been on her unstoppable path since the age of eight, winning the Emmy Award as TV host at 16, an irresistible fireball with her own beguiling way of approaching her art. Her first appearance at the Grand MET in New York was as ‘Barbarina’ in the Marriage of Figaro at a mere 19 years before she became the star of Glyndebourne, followed by Despina in Cossi Fan Tutte again at the Grand MET, Adina in L’Elisir d’ amore, Norina in Don Pasquale at the San Diego Opera. Her many collaborators include the New York Philharmonic, the London Philharmonic, the San Francisco Symphony, the Academy of St. Martin in the Fields. With her ‘studio debut’ in 2007, Decca / Universal Records releasing Handel’s Arias, Danielle instantly rose to recording stardom and continues with her 4th studio album ‘Beauty of the Baroque’. Staring as Poppea in Handel’s Agrippina, at Barcelona’s Gran Teatre del Liceu in 2014, she was reunited with producer David McVicar, in whose award-winning production of Handel’s Giulio Cesare as Cleopatra, she catapulted to world fame at Glyndebourne in 2005. Away from her opera, Danielle thrilled the 25 Million British TV audience as star of the Closing of the Proms on September 12, 2015 at the Royal Albert Hall with simulcast televising of this performance at the leading parks including Hyde Park in London, Singleton Park in Swansea, Titanic Slipways in Belfast and Glasgow Green getting them to joyously join the largest ever nationwide sing along.